It is the center and central living space of an apartment or a house. It is also a meeting point for family and friends. In a kitchen people eat, work, talk, play, laugh – and, of course, also cook. In a building or modernization process special attention must be paid to the kitchen, because of its central function. The earlier and more exact the planning for the kitchen, the better. Planning mistakes in a kitchen concept can later hardly be altered without a great deal of construction work, which can also cost a lot of money. A good kitchen is always a large investment and will be part of your home for quite a while. The appropriate layout of kitchen appliances like for example cooker, sink, refrigerator etc. is vital for an optimized kitchen plan. 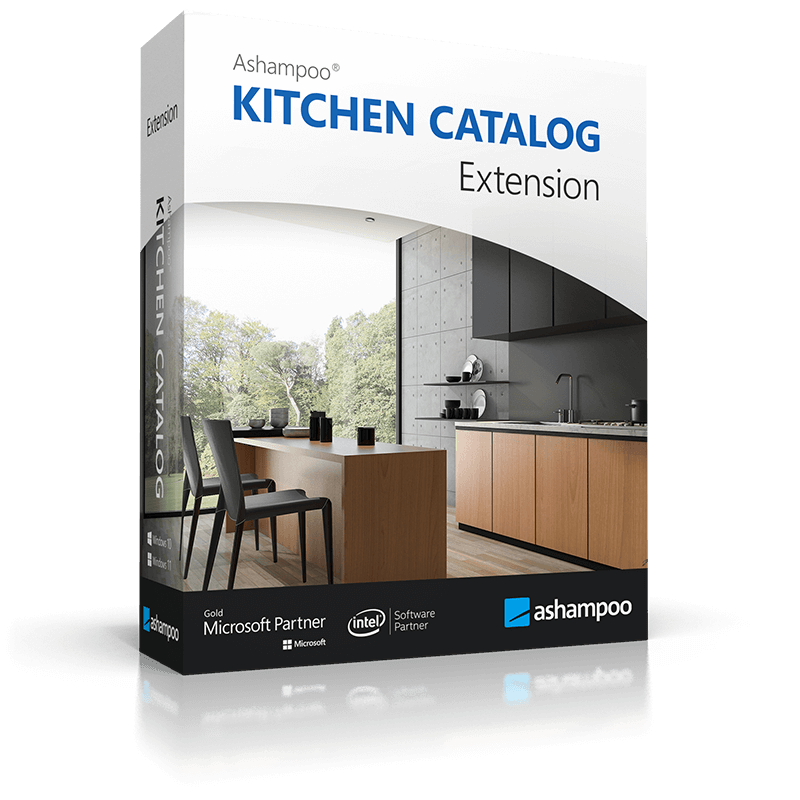 The new Ashampoo Kitchen Catalog Extension enables you to plan your kitchen individually on your PC. The catalogue offers several 3D kitchen lines in different styles, from modern via simple through to elegant. Each kitchen line offers a large number of different objects and textures. This way you can exactly plan your dream kitchen. Equip your kitchen with high-quality appliances on the highest standard. There is a large number of different appliances available to choose from. Furthermore the catalogue also contains objects like fittings to complete your project. New kitchen? Plan it yourself on your PC! 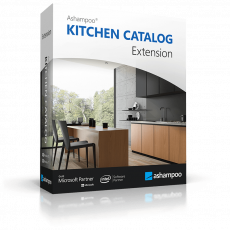 The Ashampoo Kitchen Catalog Extension includes seven kitchen lines in different designs. Each kitchen line contains a complete set of kitchen furniture with wall and floor units as well as different cupboards etc. Plan your dream kitchen in 3D and choose your furnishing from over 1,200 objects in every kitchen line.